Come, celebrate your Child’s birthday at iSpark in a fun space designed for children to imagine, learn, create and play in the Heart of the City! Birthday parties usually means a lot of fun but with a pile of high-sugar snacks, rich oily food and food that does not benefit our health. Doing away with these does not mean the party has to be boring! 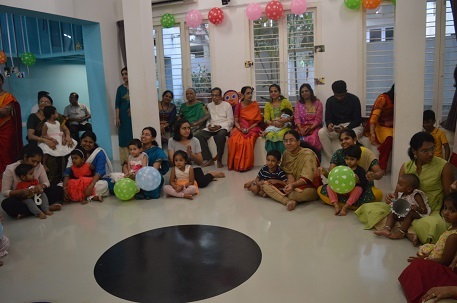 We, at iSpark, provide an energising & fun party space so that you can celebrate your child’s birthday with a lot of ease! Healthier options for food such as healthy cakes, whole wheat pasta & pizza with fresh vegetables, deliciously healthy burgers & sandwiches, dips, fresh smoothies and many more items can be organised as per your convenience. To make the party more interesting, you can also opt for activities such as dance, story telling, theatre & a plethora of exciting games. Come…Have a blast by celebrating your child’s birthday at iSpark and be sure that this will truly be a memorable one!